Built nearly seven decades ago, Miami Beach's Variety Theater--later known as the Paris Theatre--achieved a certain amount of fame in the '80s when Big Time Productions used the space as a photo/film studio to shoot album covers and music videos for top artists like Madonna and U2. 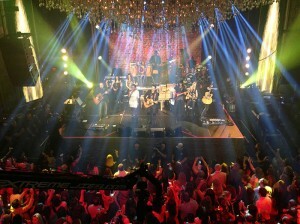 Today, world-renowned musicians and celebrities are once again pouring into the South Beach hotspot--now dubbed "Bamboo Miami"--but this time for its swanky nightlife. Bucharest-based Bamboo Group, a successful European club owner and promoter, took over the landmark venue last year and renovated it into a lavish nightclub that both faithfully preserves its classic Art Deco ornamentation and dresses it up with a mega-dose of modern ambience. 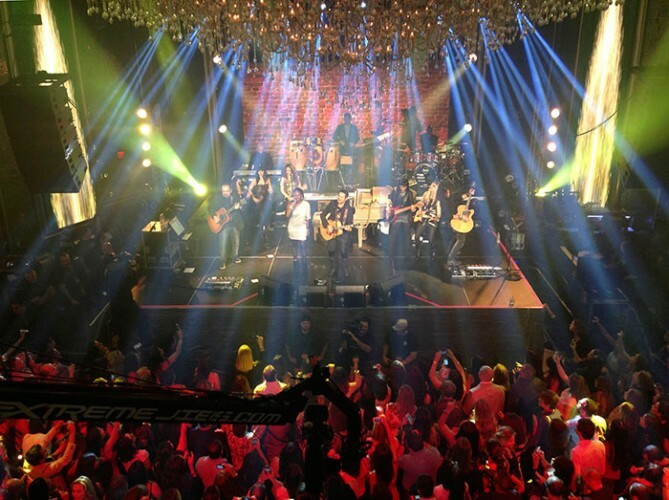 As part of the renovation, Bamboo Group brought in Audio Formula of Miami to supply a full L-Acoustics loudspeaker system to sonically reinforce the steady stream of top DJs and live bands that the 1,200-capacity space now hosts four nights a week. After modeling a variety of systems in Soundvision, Audio Formula CEO Nick Assunto ultimately specified L-Acoustics' KUDO for the space. As a result, two four-enclosure KUDO arrays are now flown on either side of the hydraulically elevated main stage area, while an additional pair of three-enclosure KUDO arrays is positioned on the far edges of the balcony's face at the rear of the room. These balcony arrays fire back into the main space and are particularly essential to create a dance floor atmosphere for DJ performances. For maximum LF impact, Audio Formula stacked four SB28 subs on either side of the stage, with the bottom cabinet in each stack reversed to create a cardioid dispersion pattern. Two additional SB28s are located under the runway down the middle of the room to deliver extra thump in the VIP areas. Additional L-Acoustics gear installed includes four ARCS WIDE constant curvature enclosures up in the balcony VIP area, six coaxial 12XTi systems for under-balcony and bar coverage, six tiny 5XT "cubes" in the foyer, and ten LA8 amplified controllers to power and process the entire system. Bamboo Miami's onstage DJ booth, which is on a hydraulic system that allows it to easily be moved backstage when live bands perform, is also home to several self-powered L-Acoustics systems: two coaxial 112P enclosures and two SB15P subs. "This system has proven to be the right choice for the venue," notes Assunto. "With all of the Italian marble tiles, LED walls and other reflective surfaces in the space, we took full advantage of KUDO's adjustable K-Louvers and SB28's cardioid configuration to very effectively minimize the energy toward those areas. Plus, with the LA8 presets, we are able to match the performance of the KUDO, 12XTi and ARCS WIDE for maximum consistency throughout the venue. As a result, Bamboo Miami has a sound system that is loud but extremely clear--free of distortion and cancellations--and every DJ and band that has performed there has been very impressed." According to Assunto, the choice of loudspeaker brand came directly from the client. "Bamboo Group owns a number of venues in Europe and was very familiar with L-Acoustics," he says. "They knew they wanted the brand for their new Miami club right from the start because all of the world's top DJs--including Tiesto, Armin van Buuren, Avicii, Swedish House Mafia and many others--request it as the first choice on their technical riders. Seeing that they were planning to attract the very best talent, Bamboo had us install a KUDO system because it would bring the same live experience typically found only in huge concert venues and festivals down to the club level." That design philosophy and investment has certainly paid off for the club, which has very quickly become one of Miami's most popular "buzz" venues. 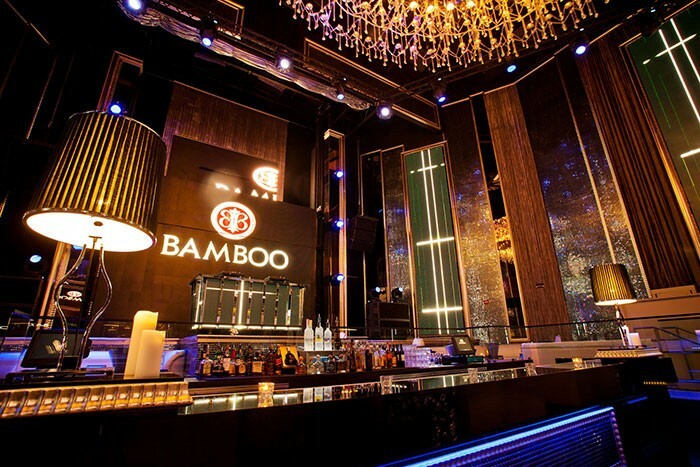 Over the past few months, Bamboo Miami has hosted popular artists like Tyga, Akon, and Alejandro Sanz, as well as a post-championship celebration for the Miami Heat. During the recent Winter Music Conference in March, Snoop Dogg, Flo Rida, and Paul Oakenfold were among the many artists to perform on the system, and Pacha Ibiza celebrated its 40th anniversary at the venue with a two-night party.